LG HVAC has been sold in the UK for the past 20-25 years and have over 500 product models from Splits, Multi Splits, Commercial, VRF, Heat Recovery Ventilation and Therma V domestic heating and hot water systems. 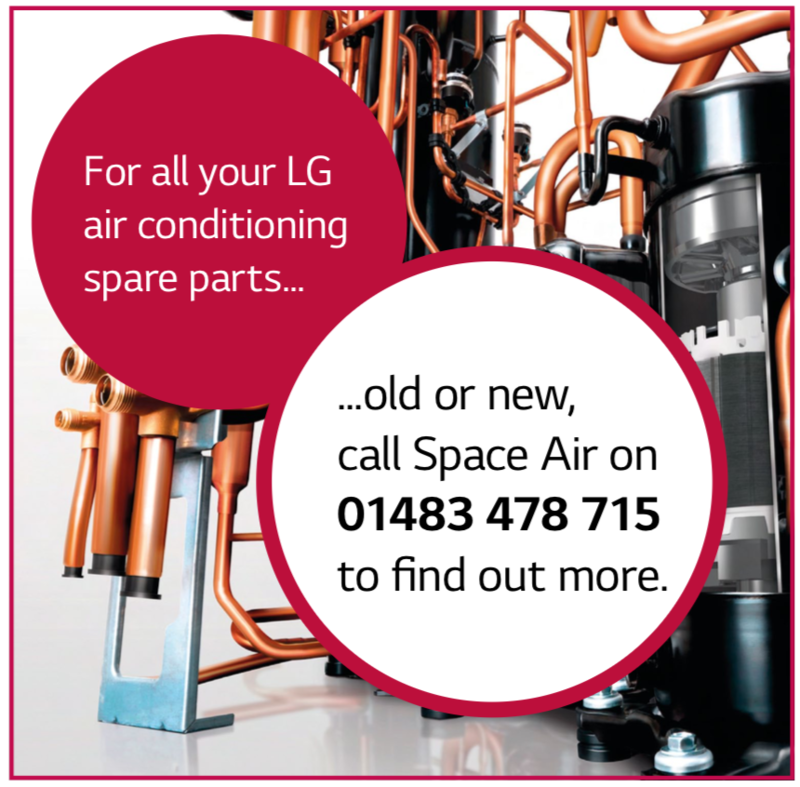 Space Air Ltd has been an air conditioning Distributor since 1980 and has developed an extensive knowledge of the manufacturer's equipment and component parts. A fast-track parts identity system with the aid of computerised records verifies precise requirements prior to delivery. In the case of scarce items, in some instances, long out of production, Space Air can access a global database, maximising the chances of tracing the required item. Space Air keeps business simple - our in-house trained engineers offer on-site support. No other LG distributor is better equipped to provide an efficient service for your LG parts requirements.